This week, in anticipation of next week’s big holiday, I’m ruminating on little devices suitable for hi-tech stocking stuffers. Today’s item of interest is a 128 GB SDXC memory card, which provides a nice storage boost to any smartphone or tablet capable of accommodating that much storage in such a small package. I’m still amazed and bemused that the miracle of miniaturization enables such a huge volume of storage to be crammed into a device smaller than most of my fingernails in surface area. 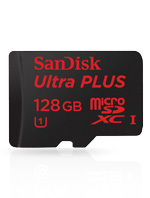 128 GB models started to become available on the market in early 2014 with the introduction of a SanDisk model. As I write this blog post, Google Shopping shows me models available from at least half-a-dozen vendors, also including Lexar, PNY, Kingston, OV Micro, and others, in a price range from $100 to $130 or thereabouts. 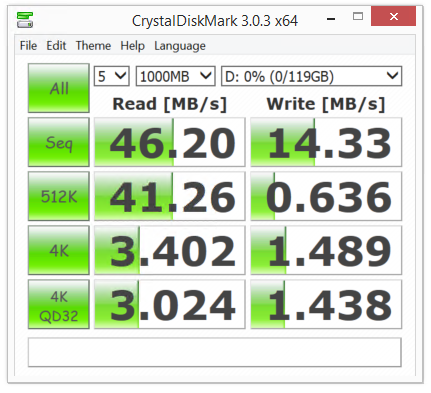 More storage on a tiny chip than in typical first-generation SSDs, but nowhere near as fast. If you have a tablet or smartphone with an SDXC slot, or somebody else on your Christmas shopping list has one, this kind of thing makes a great gift. While substantial as stocking stuffers go, even with the typical micro SD-to-standard SD adapter that comes with many micro SDXC cards, it fits quite nicely into a stocking-shaped enclosure as well. At $100 to $130 it ain’t exactly cheap, but you or your lucky recipient will no doubt appreciate the thought that went into its selection, as well as the added capacity it affords. For smaller Android tablets (16 GB or less of built-in storage), this can add life to those devices, as well as additional breathing room. You can indeed use such a card to extend storage on a tablet or smartphone. But you wouldn’t want to relocate your paging file there on a Windows device, or use it for anything else where snappy storage response makes a noticeable difference.